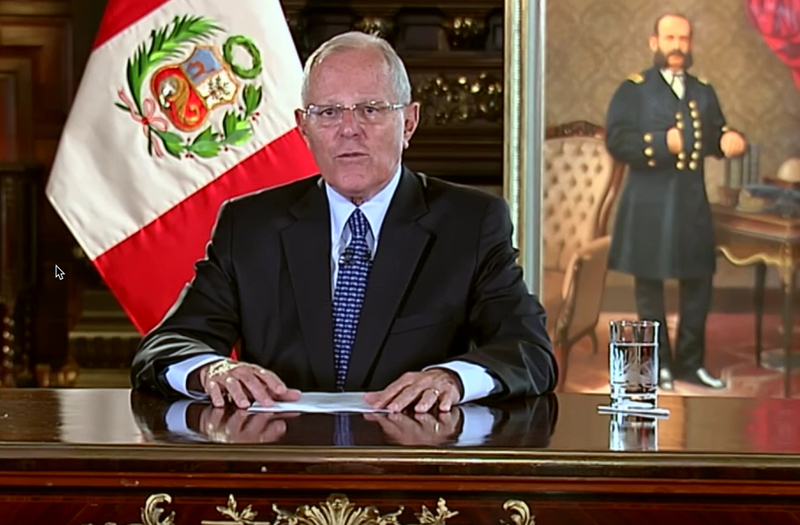 An auction for the $2 billion Michiquillay copper mine project in Peru scheduled for this week was canceled by the besieged government of President Pedro Pablo Kuczynski. A contract for the project according to state investment agency ProInversion will now be awarded on February 20. Reuters reports the Organization of American States said yesterday that it was preparing to send a delegation to Peru, the world's second biggest copper producer, to observe the "political situation" at the request of Kuczynski ahead of a vote in Congress to oust him on Thursday. The Michiquillay copper project, located in the country’s northern Cajamarca region, was originally scheduled to be auctioned off in November, but Proinversión decided to push back the date to December 20 so that interested companies have more time to submit offers. Among those who have expressed interest is precious metals miner Buenaventura which added that it could develop Michiquillay by sharing infrastructure with two other proposed mines in the region – Conga, owned by Buenaventura and Newmont Mining, and the China Minmetals copper-gold project Galeno. Buenaventura produced 127,000 tonnes of copper last year, mostly through its 20% stake in Freeport McMoRan's 500,000 tonnes per year Cerro Verde mine in the country. According to Benavides, the Yanacocha mine, another Newmont-Buenaventura joint venture, is seeking to produce more copper as its gold production diminishes. According to Proinversión, mineral resources at Michiquillay are estimated at 1.1 billion tonnes of copper with an average grade of 0.629% and a cut-off of 0.4% copper. The asset also holds gold, silver and molybdenum. Milpo, controlled by Brazil’s Votorantim Metals, has also evaluated the project. But the miner withdrew from Michiquillay in March this year after Proinversión asked Milpo to modify its proposal for the mine’s development. At the time, the company said the proposed changes were not compatible with market conditions. Anglo American (LON:AAL) acquired the rights to Michiquillay in 2007 for $400 million, but the mining giant pulled out of the project in December 2014. In its 2011 annual report, Anglo envisaged a 187,000 tonnes per year operation at Michiquillay with expansion potential to 300,000 tonnes copper per year. Anglo announced in April this year that it's bringing forward construction plans for its Quellaveco copper project in Peru, which is set to produce an average of 220,000 tonnes per year (300,000-plus in the first few years) starting as early as 2020. Newmont halted construction work at Conga in November 2011 after violent protests against the $4.8 billion project forced the country's government to declare a state of emergency. Conga could be a 500,000 tonne-plus operation while production at Galeno, which comes with a $2.5 billion price tag, is pegged at more than 400,000 tonnes per year. Earliest date for production at Galeno is 2021. A recent study counted 18 major new and growth copper projects in Peru, including expansion at Southern Copper's Toquepala and Chinalco's Toromocho mine. Already the world's number two producer of the metal, the country's national output is expected to hit 4.8 million tonnes per year by 2021 — more than double the 2.3 million tonnes produced last year. In brisk trading on Monday in New York Comex copper enjoyed its 11th straight session of gains touching a two-month high of $3.2185 a pound ($7,095 per tonne). Copper is up over 27% in 2017 as it continues to recover from six-year lows struck early last year.